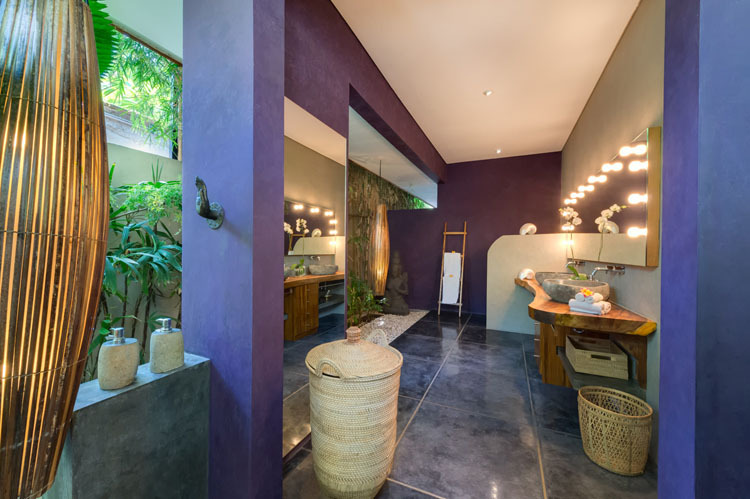 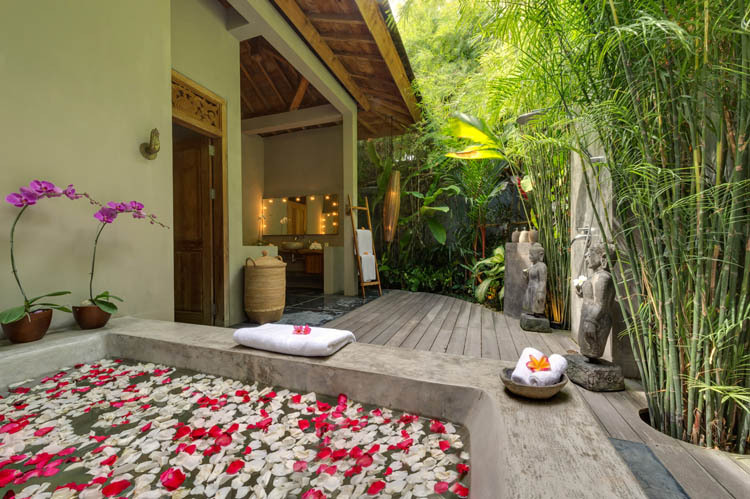 In the very heart of trendy and lively Seminyak, villa Shambala is an idyllic oasis of peace and serenity which will make you enjoy your stay on the Island of Gods. 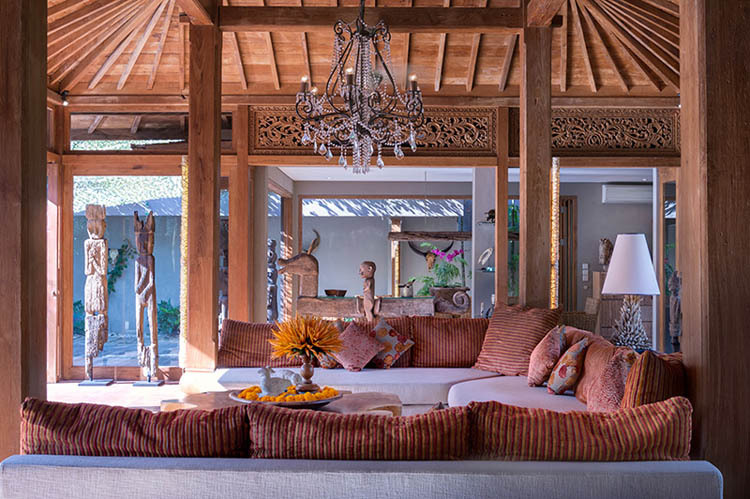 Its design blends contemporary modernity and Indonesian woodworks for a brilliant result. 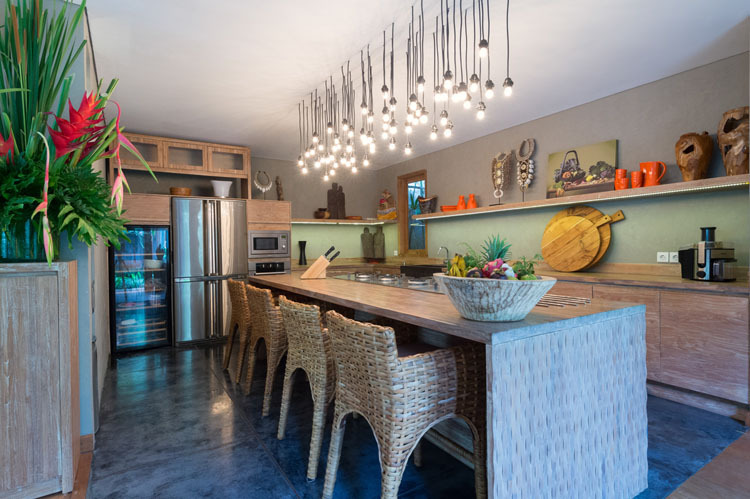 You will get to the chic restaurants, bars, art studios and stylish shops within a few minutesâ�� walk. 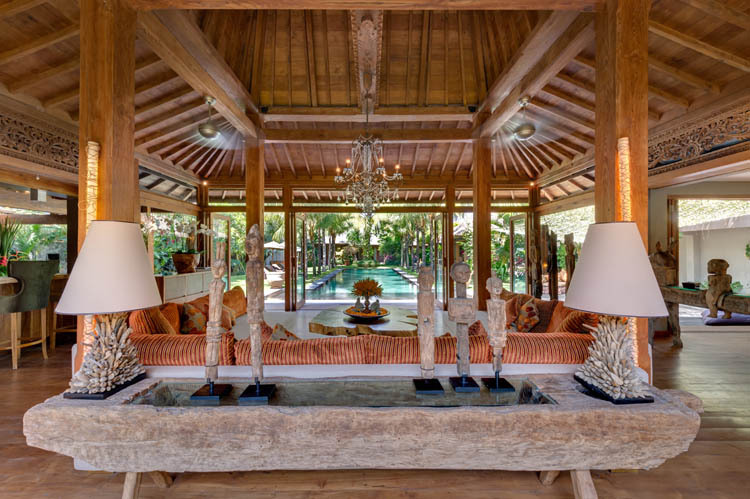 The owner wished to give this haven a grandiose design similar to Balinese temples. Indeed, woodworks give an enchanting atmosphere all around the property. 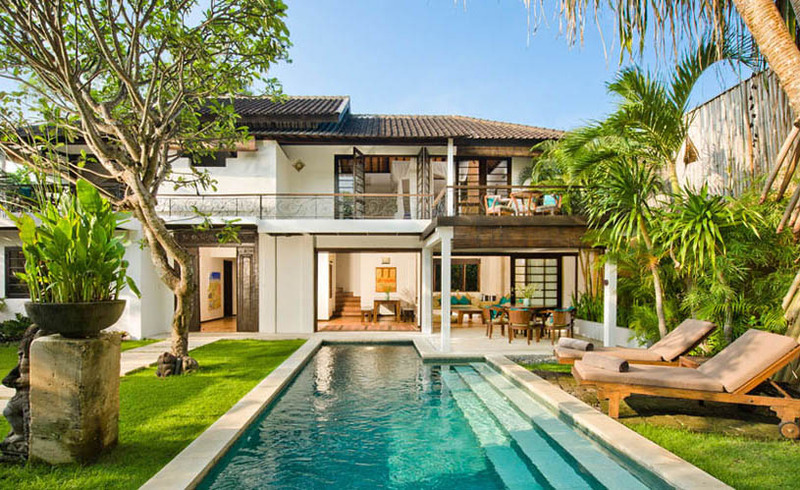 It is composed of 3 single-storey buildings, each of them surrounding the huge central pool. 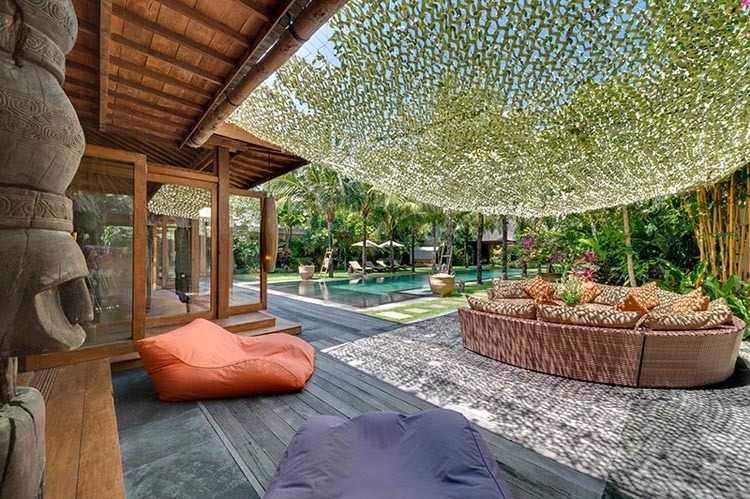 You will definitely fall under the spell of this villa thanks to its temple-shaped roofs. 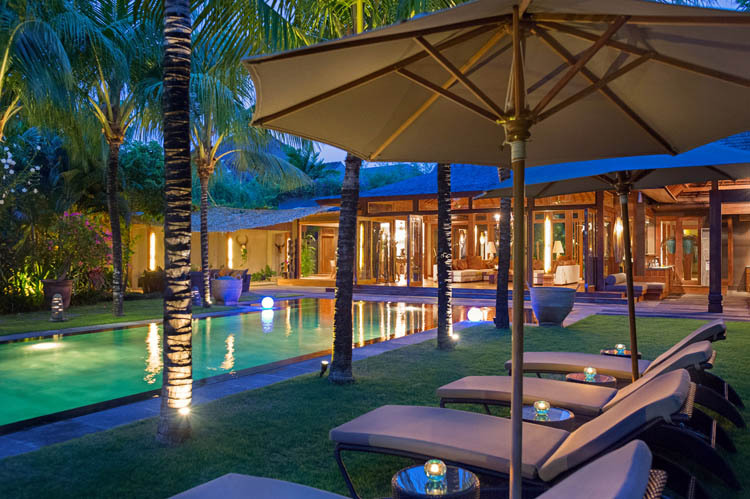 It gathers 5 large en suite bedrooms fronting the pool so that the villa can host 10 guests. 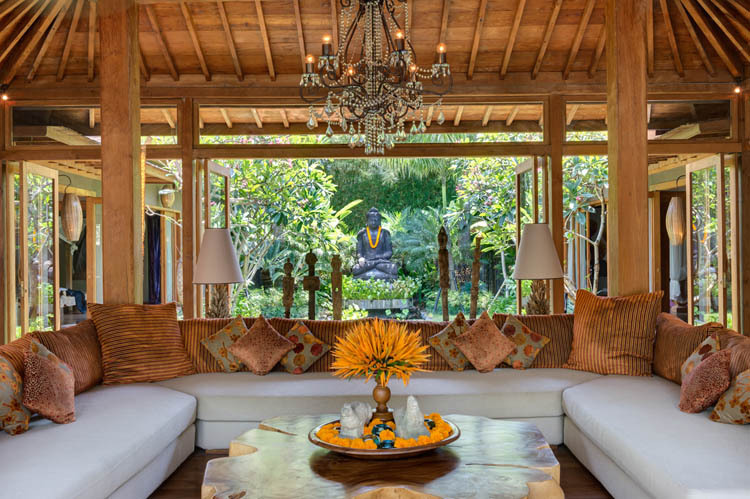 The living and dining room, the outside lounge, all of the areas were thought to be in harmony with the lovely and warm Balinese climate. 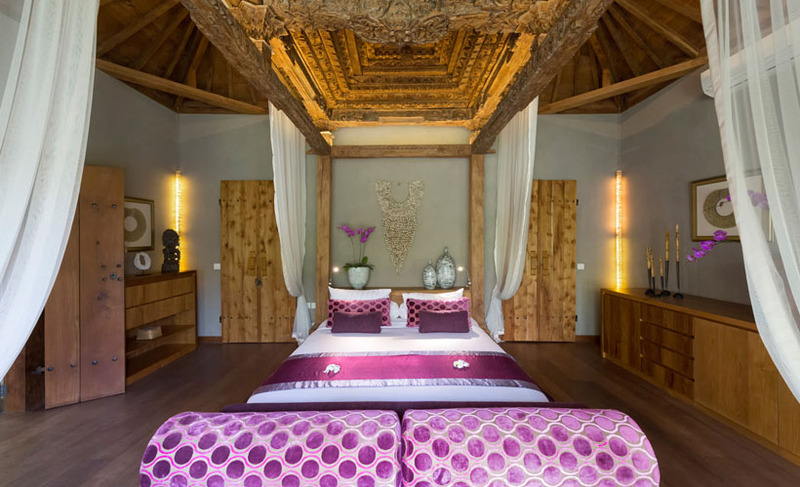 Anywhere in the villa, you will find much space thanks to high roofs and thanks to the wideness of rooms. 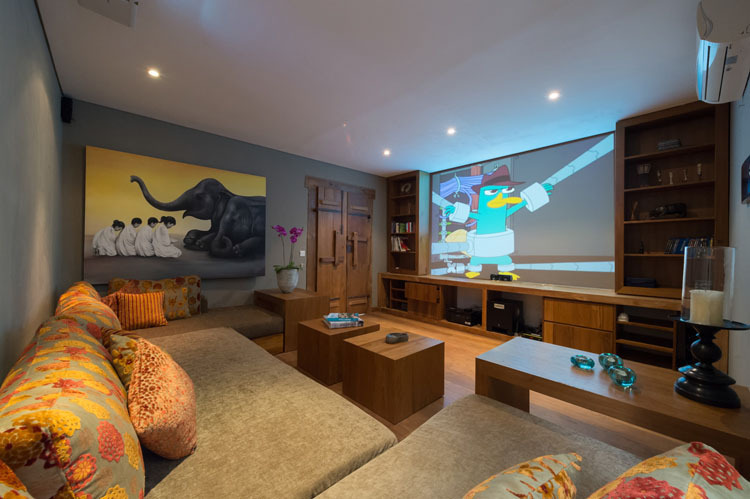 For the guestsâ�� entertainment, 2 media rooms provide you the entire high-tech conveniences. 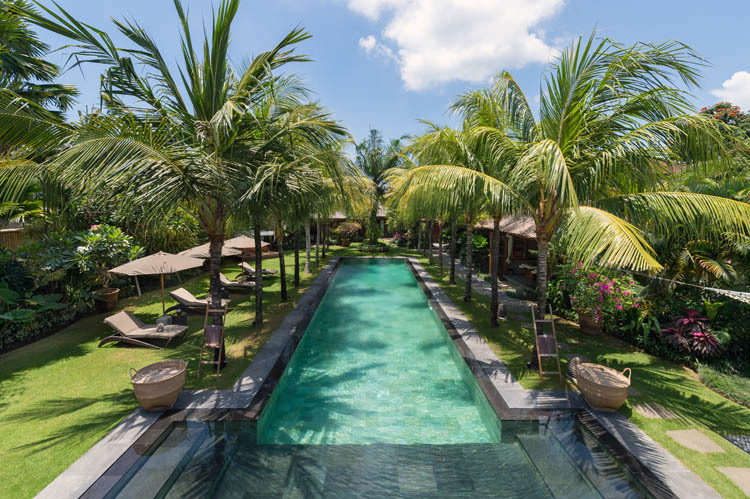 Outside, there are many distractions such as the wide 19 meters pool which is surrounded by symmetrical palm trees columns. 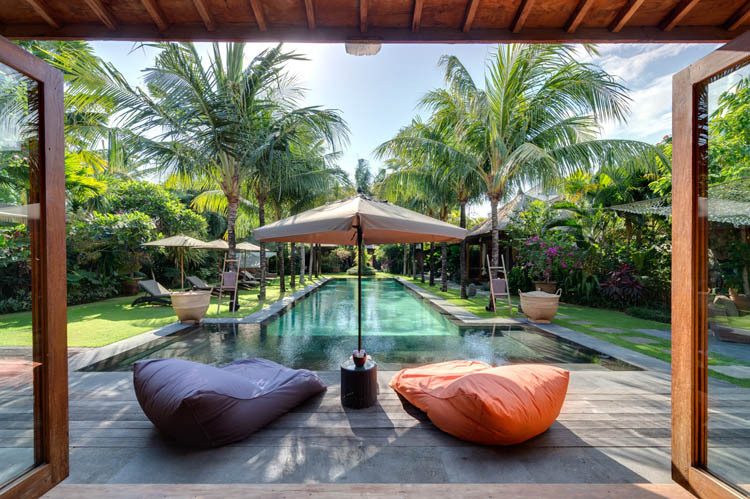 You will be able to have refreshing swims between 2 sunbathes in the traditional â��baleâ��. 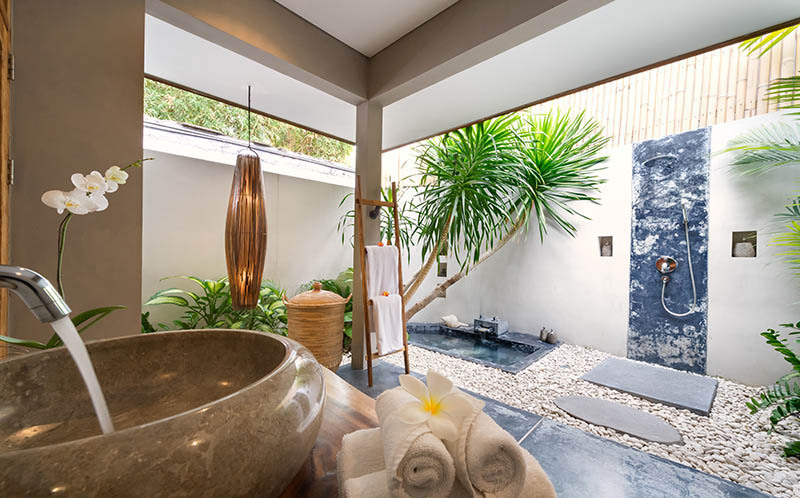 A Spa room is at your entire disposal in the garden. 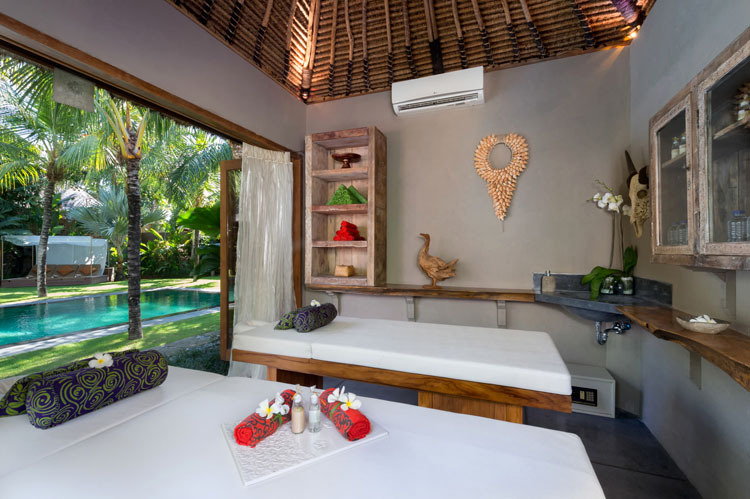 There, you will be able to ask for professional masseuses to try the Balinese spa body treatment. 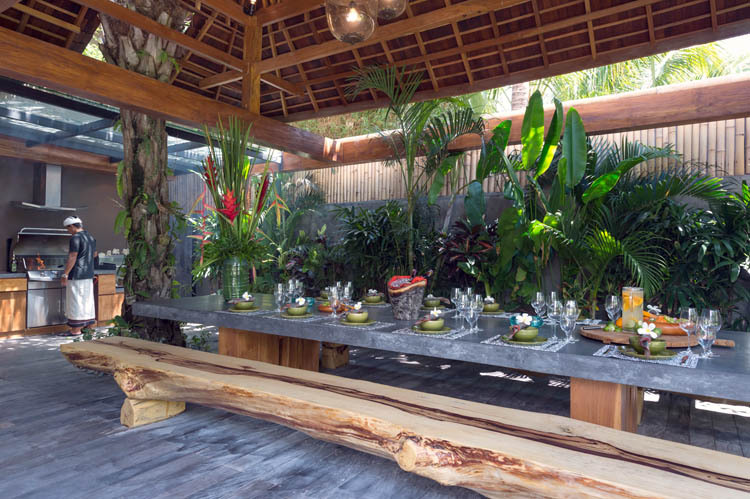 Also standing in the garden, a modern barbecue where the cooking staff will make you enjoy gorgeous grills. 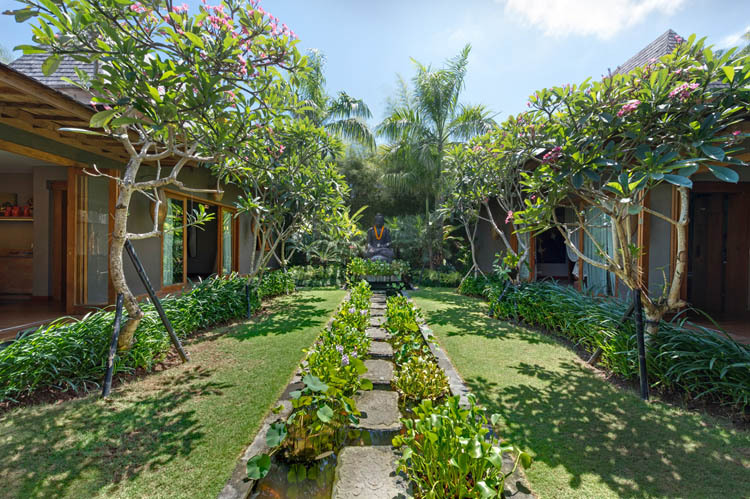 When you rent this bali villa, you will lovingly cared for by a professional team of English speaking staff, including a security staff, a cooking staff, a daily housekeeping service and a personalized butler service. 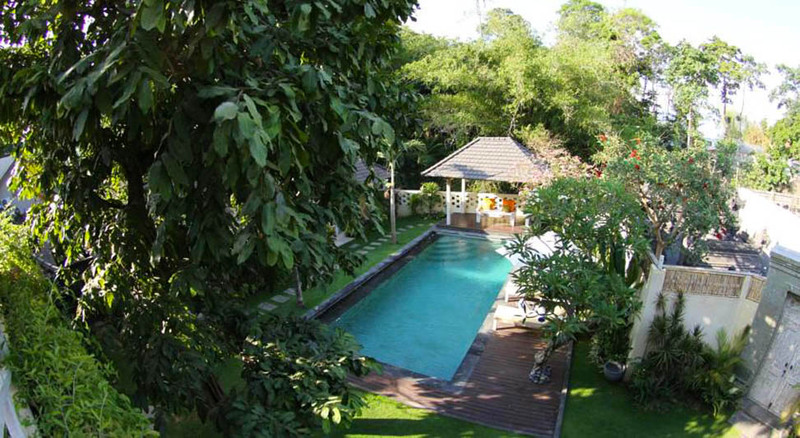 Of course, a pool attendant and a gardener will keep the garden clean and enjoyable. 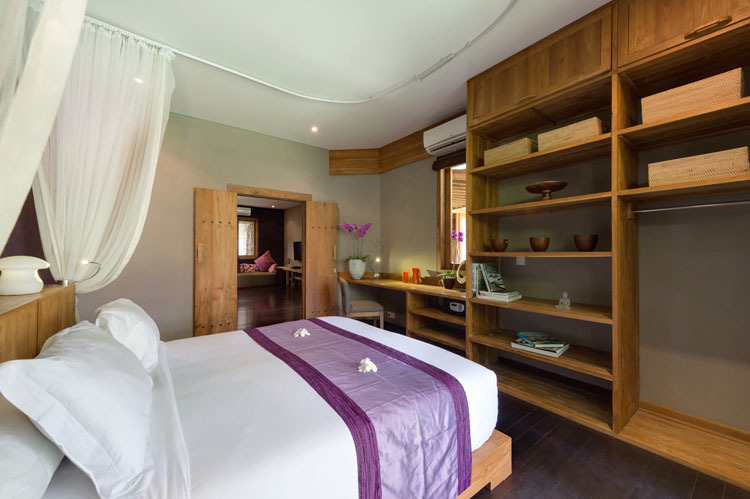 They will make sure you are entirely satisfied throughout your stay. 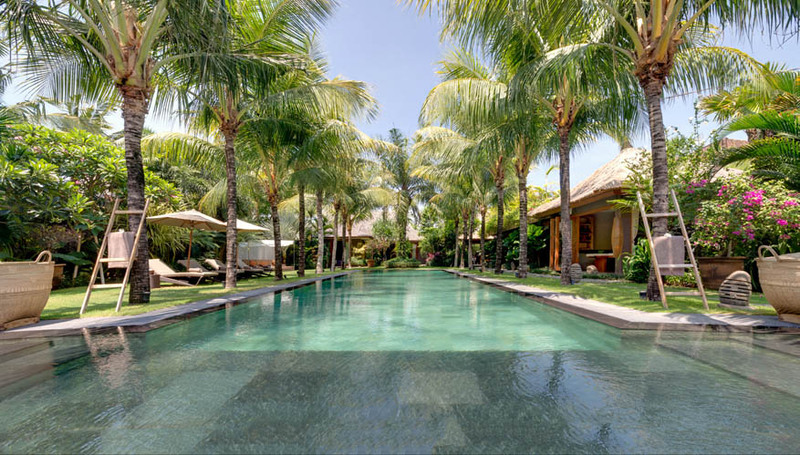 And Bali Je t'aime villa rental could arrange any of your requests regarding transport, activities or anything else. 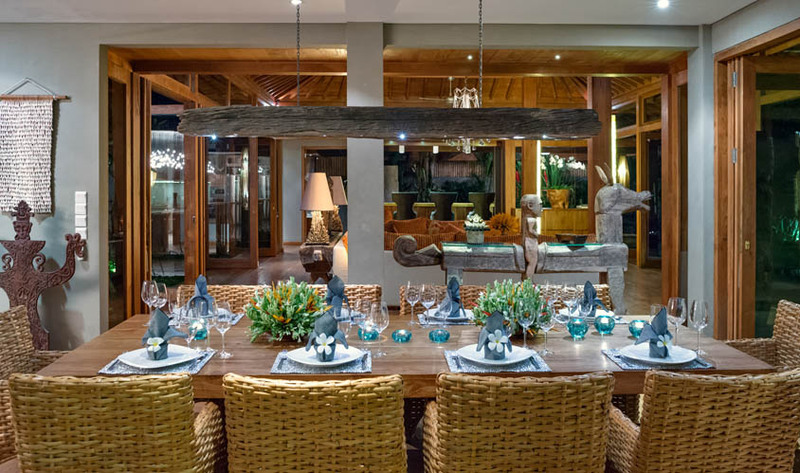 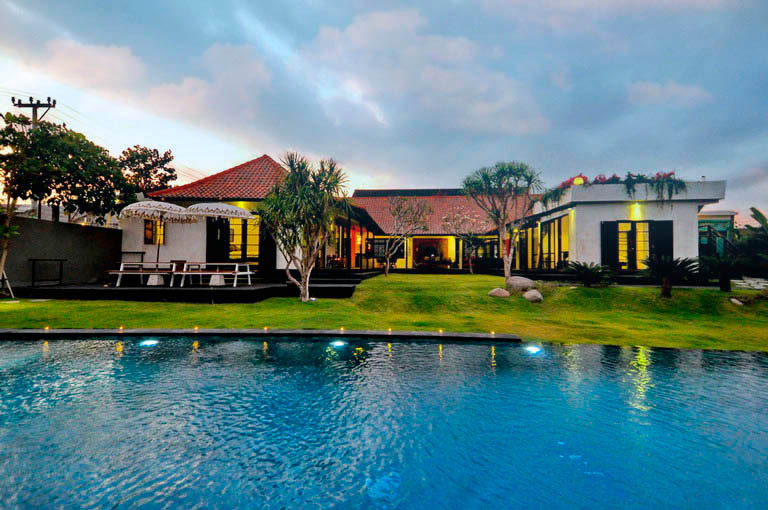 If you want a quiet renting with modern and luxury attributes without being far from the lively places of Bali, this is a great opportunity gathering many assets for a family, a group of friends, a wedding or any special event. 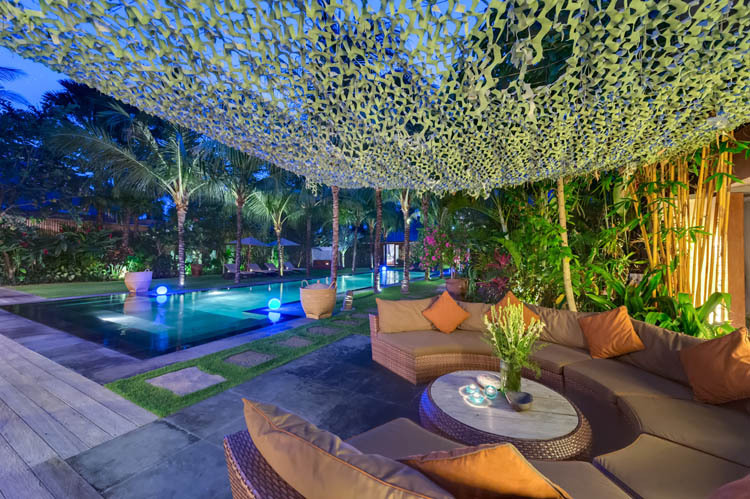 And also you will get into Seminyakâ��s stylish restaurants, bars, art studios and shops within a few minutesâ�� stroll. 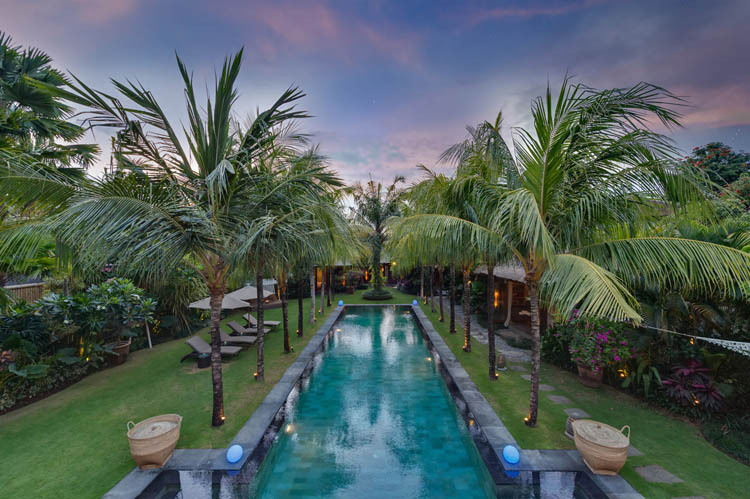 Yo should not miss to drink a cocktail on the beach while seeing surfers in the Indian Oceanâ��s waves or even taste a great meal in one of the delightful Indonesian or international restaurants.